Before even getting out of bed this morning, I was assaulted by the nauseating strains of “Have you Forgotten?” from my clock radio. My first thought was “God-DAMN! Even those Republican assholes at Clear Channel are gonna have to give up on the warmongering sometime.” Then I realized it was “in honor” of the fifth anniversary of Sept. 11. Throughout the day, news media and conversations were full of people reminiscing about when, where, and how they heard about the attacks. It’s going to compete with my generation’s memories of hearing about the assassinations of President Kennedy (PA announcement in my first-grade classroom) and John Lennon (I don’t remember, so maybe 9/11 really is bigger). So I might as well play along. 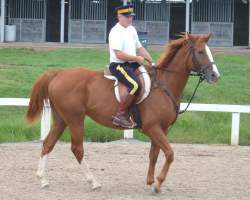 Yes, you are looking at a picture of Crossbo being ridden by a member of the Royal Canadian Mounted Police. 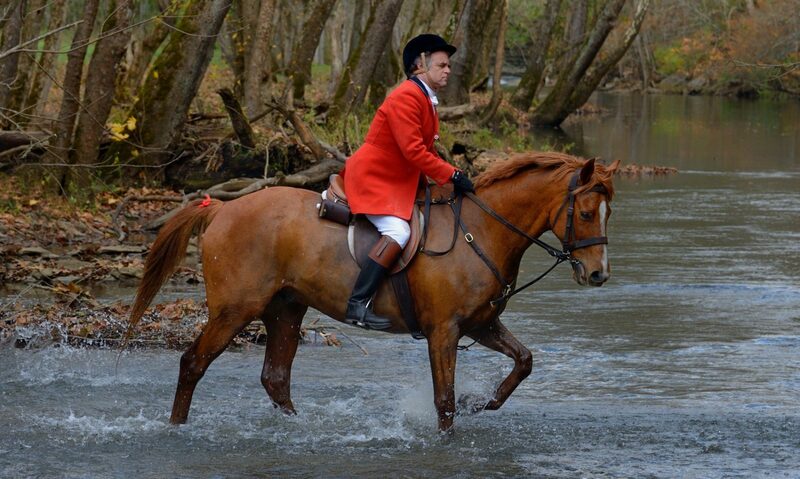 Yes, that’s a real Mountie, and not some clown in a costume. No, he wasn’t impounded after an international pursuit for RUI. This picture was taken at a recent clinic provided by the Lexington (KY) Mounted Patrol, with instructors from their force, along with the RCMP and London (England) Metropolitan Police Mounted Branch. It was quite an interesting day. I’ll have to admit that I was a little disappointed in Crossbo’s and my performance. But I think he learned a little, and I learned a lot about what we both need to learn.